Our client, a leading MNC and one of the world's leading suppliers of sensors measuring pressure, force, torque and acceleration, and related electronics and software. Their Technology are used to analyze physical processes, and to control and optimize industrial processes. The Application Engineer for the SBF – Joining is responsible for the technical support of customers in selecting, installing and using Spindles and related products which are pertaining to SBF Joining. He is a specialist in Automation with PLC background & has a good knowledge of various applications pertaining to Manufacturing Industries. Supporting customers in selecting & installing Joining systems like spindles. Supporting all the sales Centers' in India for these Applications. Responsible for the Sales Turn Over. Bachelor Degree in Mechanical / Mechatronics Engg with PLC background. 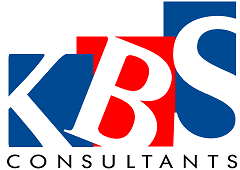 Please email your resume to priya@kbsconsultants.com with your current and expected salary details.